Gold rebounded on Friday after the Commerce Department released weaker-than-expected U.S. economic data, ending the month of January at an 8% gain on the Comex – its biggest monthly gain in three years. The data showed that the U.S. economy expanded 2.6% during Q4 2014, below the 5% growth posted in Q3 and the 3.2% economists expected. Investors sought gold as a safe haven on the news. The numbers also led investors to speculate that the Federal Reserve will remain patient on raising interest rates. Fed chair Janet Yellen has said in the past that the timing of a potential interest rate hike would depend on the pace of the economy’s recovery. Gold has benefitted this year from troubles in the eurozone, whose central bank just announced a massive quantitative easing stimulus plan. Greece in particular is causing concern – the country elected a new government in late January, a government which strongly opposes austerity (bailout) even if it means Greece defaulting on its debt and exiting the euro. “Recent investor polls point to a 24.3% chance the euro will break up in the next 12 months, as a result of Greece leaving the currency union, said Julian Jessop, head of commodities research at Capital Economics, in a note. This is up from a low of 7.6% in July last year. If the ongoing economic crisis in Europe has you thinking about protecting your assets, consider adding physical gold or other precious metals to your portfolio. 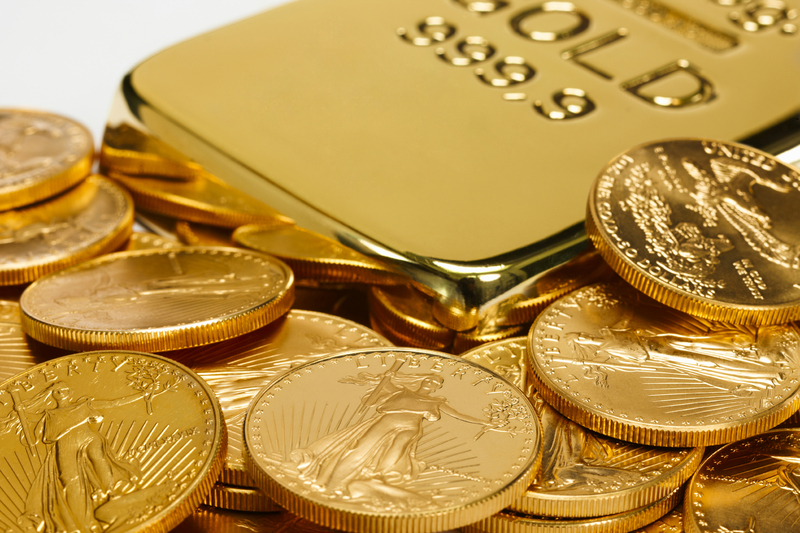 Gold can help to diversify, hedge, and safeguard your portfolio for the long-term. American Bullion offers a wide selection of coins and bars for secure delivery to your address, or can help add gold to your retirement account. Let us handle all of the details for you and make the process of owning gold safe, quick, and hassle-free. Call American Bullion today at 1-800-326-9598 to speak with one of our precious metals brokers, or request your Free Gold Guide for more information. Invest in something real!